Generating views, clicks, likes, shares or purchases is a primary goal for most online brands. Whether the name of the game is increasing visibility or improving ROI, strategies are necessary to generate optimal results. Many people refer to desired actions completed by visitors and users as conversions; each time somebody performs a desired action, your brand benefits as a result. Depending on what you’re asking the audience to do, conversion rates can be anywhere from 1 in 1000 views to 1 in 2. Generally, the more effort or resources required by the audience, the lower the rate. Regardless of this, however, it is possible to increase conversion rates and ultimately boost your brand. Below, we’ll look at some strategies that can help you garner more links, subscriptions and purchases. One of the easiest ways that brands maximize the value of any marketing campaign is to utilize A/B testing. What is A/B testing, you ask? Simply put, A/B testing involves running multiple campaigns, ads, posts and other forms of marketing with slight variations. By pinging users with a variety of different styles, images and copy, brands can begin to discover which phrases, multimedia and styles generate the best results. From there, more optimized campaigns can be built in the future that generate higher conversion rates. In an age where an unprecedented amount of marketing content is bombarding us on a daily basis, our brains have adapted. Increasingly, people do not respond to focus-grouped content that uses jargon and misleads the audience. If you want to maximize the conversion rate for your next campaign, follow one piece of advice: be simple. By getting to the point and letting people know what they’re getting before they click, those who do follow through with the initial steps will be more likely to convert. This is especially valuable for those campaigns that are billing you by the click or interaction. Knowing that you can trust a brand, its offerings and its pitches is crucial in today’s digital world of insecurity. While you cannot inherently inspire trust on the first interaction with a member of your target audience, those who have interacted with you before will hopefully have learned to trust you. If you work on building trust and rapport with your audience, future campaigns will produce better results via that trust-building. This can be particularly useful in re-targeting or marketing to audiences who are already following your brand in some way. 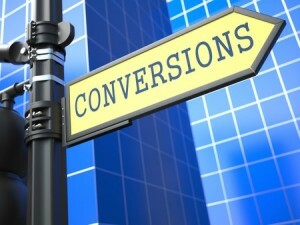 Every step of the conversion process costs you conversions. People don’t like to wait or jump through a thousand hoops to do something that they feel should be simple. Whether you’re running ads, sending out emails or targeting people with social media ads, getting from point A to point B should involve as few steps as possible. When you’re pinging users with a process that involves 5 different pages and tons of interactions, of course your conversion rate will be low: eliminate as much work as possible from the equation and watch your conversion rates skyrocket. With just a few simple tweaks to your marketing efforts, you can double, triple or even quadruple your conversion rates. By simplifying the process, building trust, eliminating the unnecessary and testing each campaign, you’ll bring real value to each campaign you run.